Rare books by Winston Churchill, including first editions, signed first editions, finely bound copies, and handsome sets of his collected works. Voted the “Greatest Briton of all” by the British public, Winston Churchill was surely Britain’s sole world-historical figure of the last century. A complex, mercurial character, in his life he played many parts: minor scion of a most noble family, grieving son of a tragic father, soldier for Empire, gadfly correspondent, controversial MP, cabinet minister, voice in the wilderness, strategist, war leader, statesman and Nobel literature laureate. The Story of the Malakand Field Force. Autograph album, including signatures of a young Winston Churchill, Roger Casement, high ranking British diplomats and their staff. Why I am a Free Trader. [Dropped-head title:] The Fighting Line. Corrected draft typescript, signed, of an article on Disarmament. Corrected draft typescript, signed, on the Soviet threat. (CHURCHILL, Winston S., intro.) BERMANN, Richard A.
Marlborough: His Life and Times. A..."> First edition, only printing, of what is perhaps Churchill's most important publication. A gathering of his speeches "on Foreign Affairs and National Defence" (Preface), representing his contributions to the debate on German rearmament, his stance on which positioned him to emerge from the crisis of May 1940 as premier. An attractive copy of the decidedly uncommon Atlantic Charter poster issued by the US Office of War Information: no copy located by Copac in any British or Irish institutional library; OCLC cites copies at McGill, Penn State, New York Public Library, Wooster, Denison, West Texas A&M only. [The Second World War, Brazilian] A Segunda Guerra Mundial. First Brazilian editions, eight of the ten volumes signed or inscribed by Winston Churchill. [The Second World War, in Dutch] Memoires over de tweede wereldoorlog. [The Second World War, in Italian] La Seconda Guerra Mondiale. All of these roles he wrote out – justifying, explaining and campaigning; history as biography, and biography as history – and all his life he lived by the pen, eventually making his fortune by it. Churchill’s published works are a key source to the understanding of the man, his life, and the history of Britain through the troubled twentieth century. Regularly stocked editions of Churchill’s works include The War Speeched, the First Brazilian, Dutch, Danish, French, Swedish and Japanese editions. 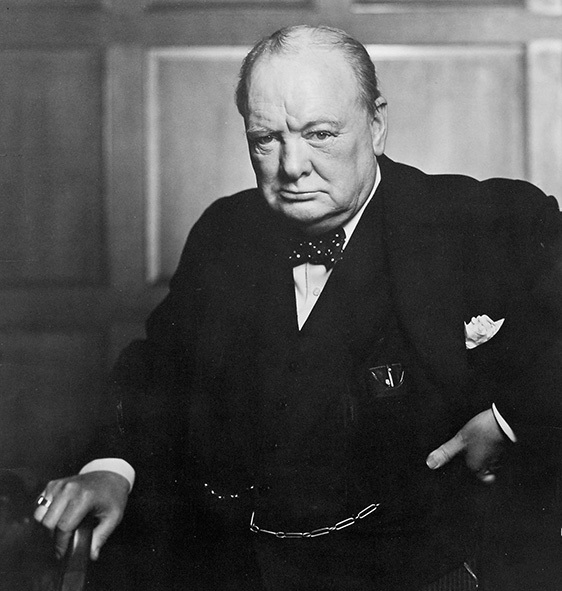 Read our blog post about Wanted for Incitement to Murder: Winston Churchill. Signed Transcript of The United States of Europe with extensive autograph emendations. Eight-page corrected draft carbon typescript, signed, on the British financial crisis. September 1931.